Shinagawa Machinery Works Co., Ltd.
Shinagawa Machinery Works has earned praise from around Japan for confectionary manufacturing products, food processing systems, and physics- and chemistry-related equipment. We believe potential that exceeds the imagination can be found via significant progress that is made possible by encounters with passionate people, experience, expertise, and an enthusiastic track record of success. 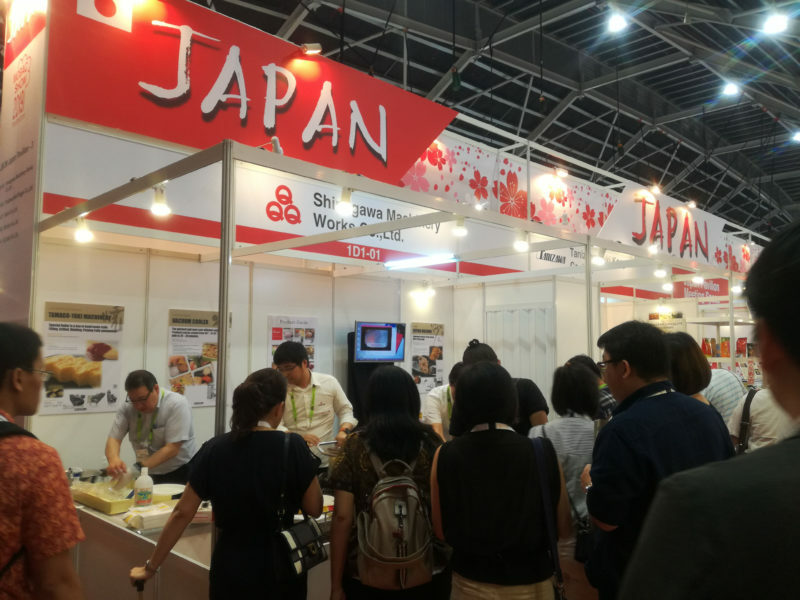 We exhibited at Food & Hotel Asia 2018. Over the four-day period from Tuesday, April 24, to Friday, April 27, 2018, we exhibited products at Food & Hotel Asia 2018 at the Singapore Expo. Our booth attracted a large number of visitors, and we’d like to thank everyone who stopped by. We exhibited compact egg roasters designed for use in a retail setting. We look forward to answering your inquiries and hosting you at our company.